The RAM-A-101U-B 0.5" Ball with Long Arm features a double socket arm with two diamond bases with a hole pattern suitable for many RAM cradles. 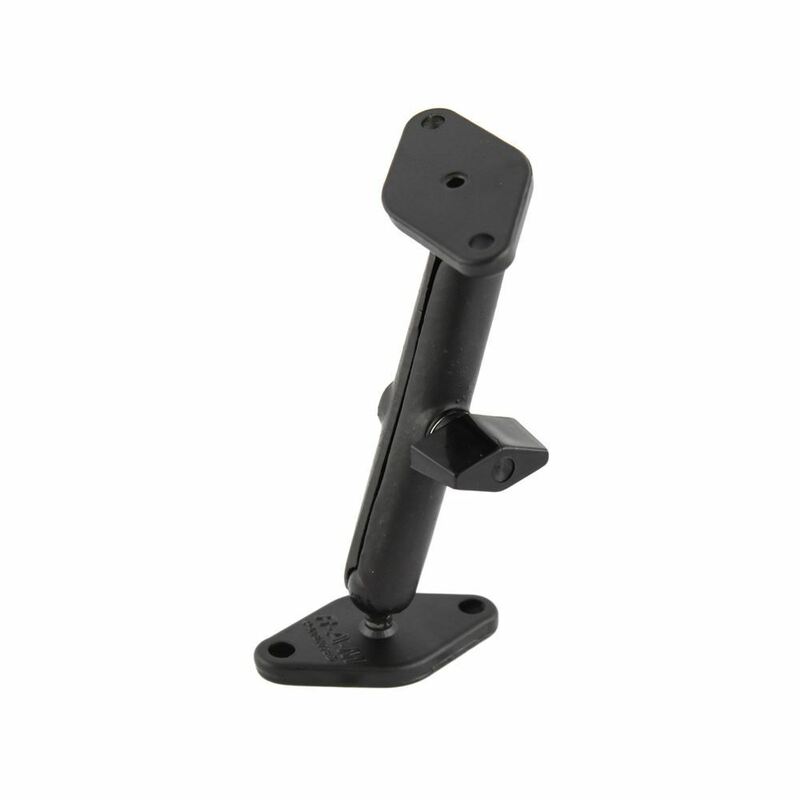 The RAM-101U-B RAM 0.5" Ball w/ Long Arm & 2 Diamond Bases by RAM Mounts is composed of a short double socket arm and a pair of 2.5” diameter round bases designed with AMPS universal hole designs. This product is built with a 1.5” diameter adjustable rubber ball and socket system. Every product is made with safety and security in mind—shock and vibration resistance guaranteed—with only the best materials used in its production.